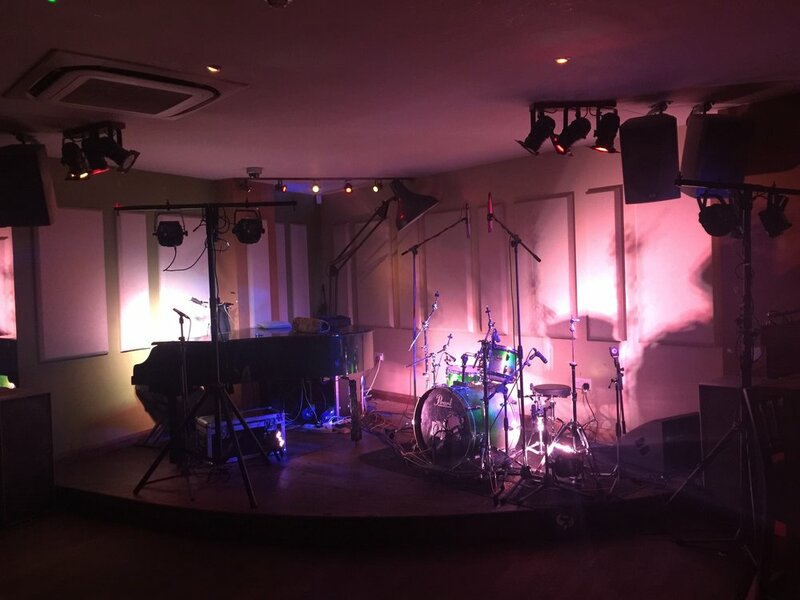 Tom's incredible piano and drums party duo offer an upbeat, fun and cheaper alternative to your average function and event band, the Ultimate Party Duo is the perfect answer for your entertainment needs. The duo comes equipped with state of the art sound and lighting equipment and as their are only two members in the band the duo can fit into smaller performance spaces but still create a huge sound. The percs of having such a small band is that they can take on many more song requests and tailor the set list for your event. The duo have been resident acts in Tickled Ivory Piano Bar and Komo Cocktail Bar in Guildford and have done many private and corporate functions over the last few years. We both wanted to say again how much we enjoyed you playing last night. All our guests loved it and it really topped off what was already a great day. It was very kind of you to stay till the bitter end. Just wanted to say thanks so much for playing Dan’s 40th – you were fabulous and completely made the night. I think every one of our guests told me how amazing you were and given that every single one of them was up and dancing, I think that was confirmation enough ! It didn’t go unnoticed that you played every single one of our requests – and used them as a basis for the other music you played, it was absolutely perfect. Your flexibility really meant that the night flowed easily – you judged the room to make sure that you were playing at the optimum times. You really put me at ease with the flow of the night too – there was no question too stupid or request too hard – thank you for that. Having you provide the lights, all the kit and accompanying music made our lives so easy – you guys were so self sufficient ! and having you there all set up when we arrived was brilliant – we could really relax straight away. To say we were pleased was an understatement, you and Chris were incredible value for money. Thank you both so so much.